﻿ Best Price on Zimbali Culinary Retreats in Negril + Reviews! Located in the lush jungle outside of Negril, Zimbali Retreats offers guests a recognized restaurant serving fresh food from its on-site farm, free Wi-Fi and rustic décor. Meals are included at this property. The suites and cottages at Zimbali Retreats come with a private bathroom, a fan and a desk. All feature a kitchenette with fridge and coffee maker. The on-site restaurant serves organic food and is ranked #1 in the Farm to Table cooking tour. It also offers special vegan and vegetarian gluten-free dishes, plus it features a professional private chef cooking. 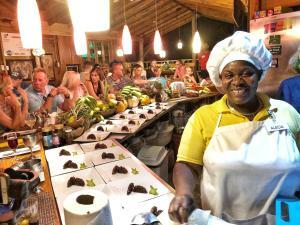 Cultural Tours such as their Rasta Tour and Farm to Table cooking Tour can be added. The property also offers tours and outdoor activities, including hiking and swimming. A Pirates Island with snorkel and lobster as well as a Booby Cay Island Trip are also available. 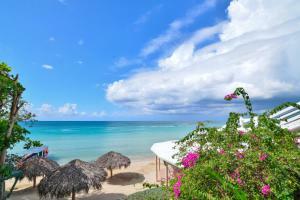 Negril city center is a 30-minute drive away, and Sangster International Airport is a 1.5-hour drive from the property.